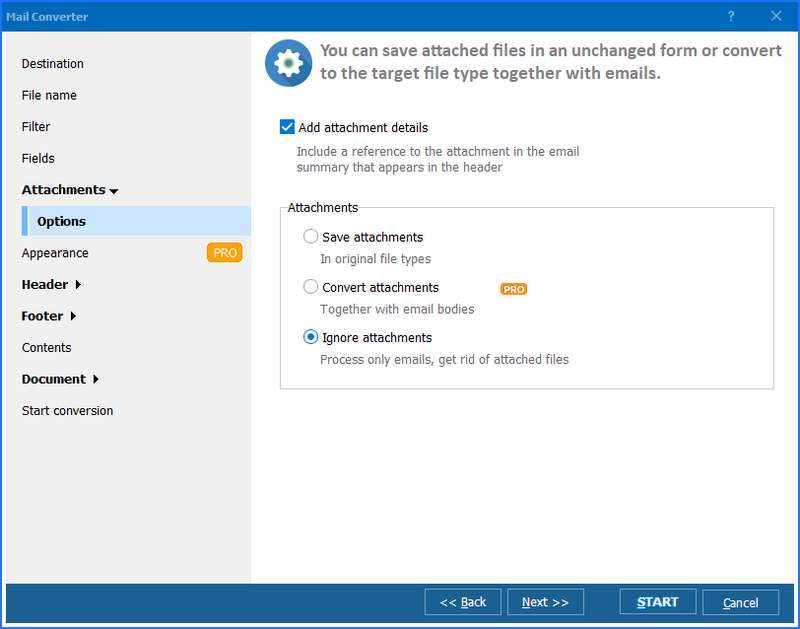 Total Mail Converter is a versatile file conversion utility intended for rendering email messages in DOC, PDF, TXT and HTML. It supports MSG and EML extensions and is apt to convert thunderbird messages to the aforementioned formats. Total Mail Converter features an easy-to-follow user interface, so it is easy to handle for even a first-time user. Total Mail Converter comes in handy when you have to deal with all too many emails. If you are running an active business and are too short of time to manage your correspondence, you end up with hundreds of messages in your box. Then you can not quite figure out which you should delete and which you should not. Total Mail Converter will save you the trouble! By aid of this program, you can archive your thunderbird messages as you see fit! Total Mail Converter shows you the fastest way of converting email to thunderbird ever. Would you like to work with your saved emails later? 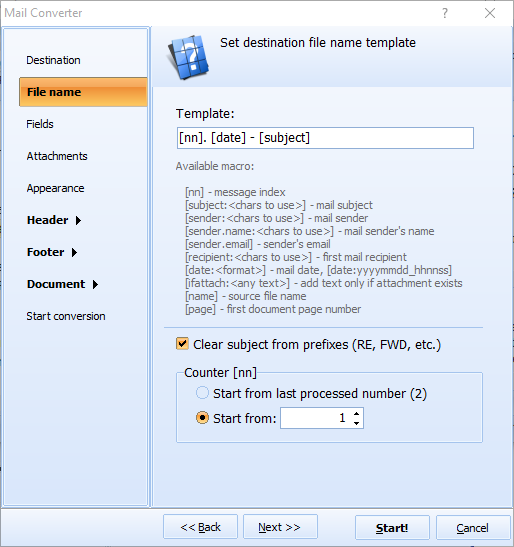 With Total Mail Converter, you can render them in TXT, Word or RTF. Would you like to view messages via browsers? Save them in HTML! Do you want your messages to be compatible with any OS or software? Convert your thunderbird emails to PDF! Besides, Total Mail Converter will help you archive your files, so that you will not have any trouble finding them. 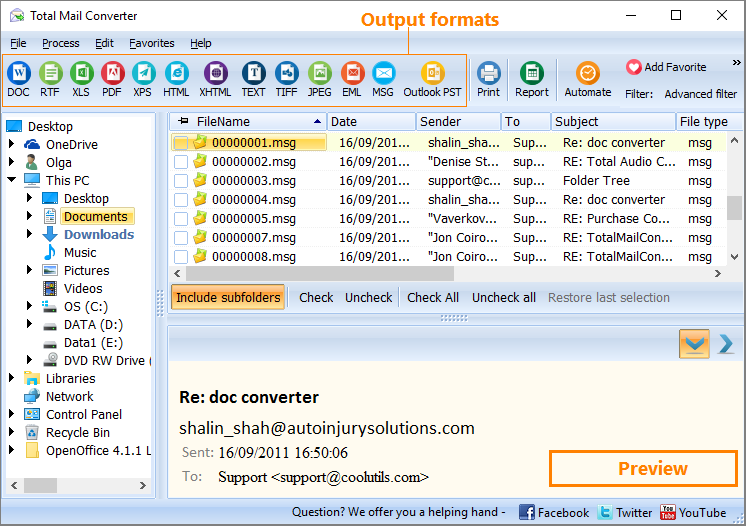 Total Mail Converter converts files in batches. You can check as many thunderbird messages as you wish or check all the messages contained in your selected folder. All you need to do is click Check All and select the output format. The program wizard will give you settings. You may choose the following fields to export: Sender, Recipient, Date, Subject or Body. When you have made your settings, click Start. Total Mail Converter integrates into the right-click popup menu. To convert a file right from the desktop, you should only right-click on it and select Convert to. Command line support permits you to launch the program from within other utilities. Total Mail Converter is too cheap for its real worth! You can either purchase it right now or download the free trial version. It is valid for 30 days, so you will have enough time to see how it works. 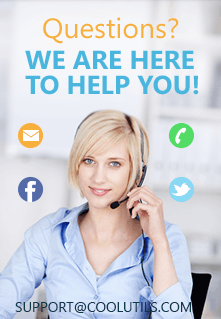 Registered users enjoy free tech support and regular upgrades.